Reblocking or Restumping is the process we use to replace the original timber stumps to concrete stumps to support and provide a better foundation for the subfloor to all weatherboard homes and brick homes In Melbourne. We use 100% laser level to level and pack (e.g. where doors and windows not shutting properly) or floors de-levelling in some areas. We lay out the stumps for new extensions; lay out the flooring and also do decking. 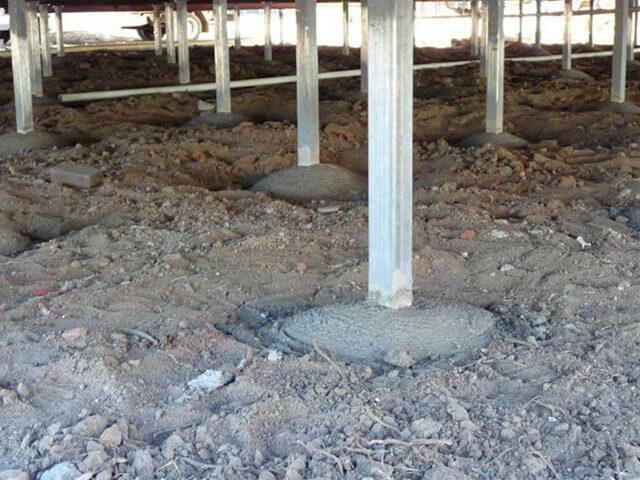 We provide concrete/steel stumps; concrete pump used; with two inspections; permits supplied; fully insured and all work guaranteed for 15 years. 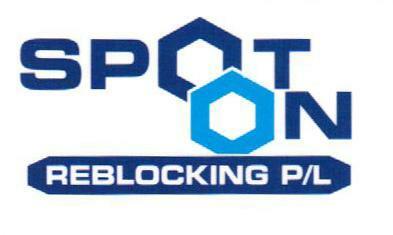 With over 20 years’ experience, we are the perfect choice for your Underpinning job and Reblocking in Melbourne. We are Fully licenced, Fully insured and Qualified professionals and Registered Builder Practitioner with the Building Commission and a member with the Master Builders Association for 14 years in our own company, also member of H.I.A, Work Safe of Victoria, Melbourne with over 20 years’ experience all in accordance to the Building Regulations and Occupation Health and Safety regulations. ”We are a family run business and have no sub-contractors who treat every home as our own home, and aim for every job to be “Spot On”. We provide all our customers free quote and advise providing a better foundation to their home with engineering advice where needed, especially for house reblocking in Melbourne. Our team of visual inspection can be made by scratching away the soil from the base of the stump (75mm to 100mm) and checking its condition. Then we replace your old timber stumps with the strong and efficient concrete stumps. We have the best team of architects who provide the unmatchable house reblocking/ restumping service in Melbourne. Do you have uneven or slanting floors? Is your tile floor starting to crack? Are your plaster walls and cornices cracking? 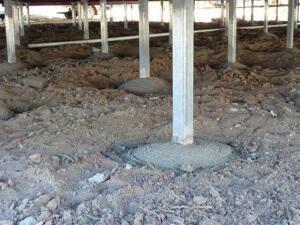 Do you have extensive moisture in the foundations? Are you considering a major renovation to an older home? When was the last time you had a look under your house? 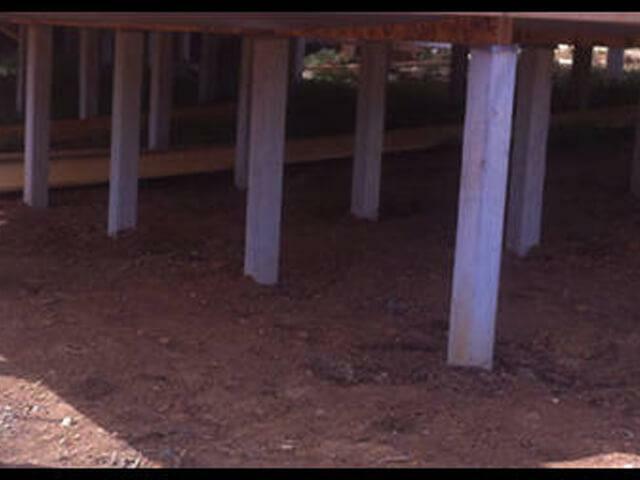 We replace your old timber stumps to new hard, solid concrete stumps. Before you do any renovation, make sure you restump your floors and make sure they are levelled. First, we remove the plinth boards and place jacks all around the house to support the home and jack it up and work our way in. Then we dig holes until we reach the plate; most of the measurements are 300x300x300mm at a depth of 450mm. 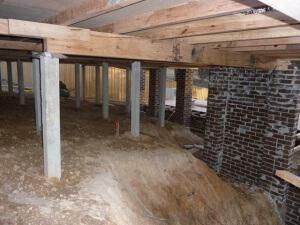 Check if any rotten bearers and joists that need to be replaced. We then hang all the stumps over the holes to bearers and beams and leave around 15 to 20 cm under the stump to pour in the concrete. 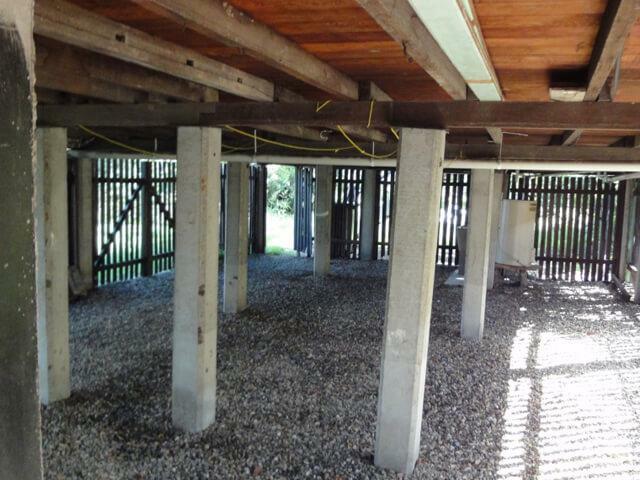 Before we pour the concrete, we level the entire house with a 100% laser level, then we arrange for an inspection to see if all works have passed inspection within the building regulations. Once approved we commence work and we pour in the concrete using a concrete pump around the concrete stumps to hold them in place and support the foundation of the home. 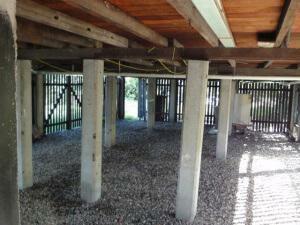 Wait 24-48hrs for concrete to set then remove jacks, level soil out under the house and clean up. We make sure that the job is well done, and to the costumers expectations.